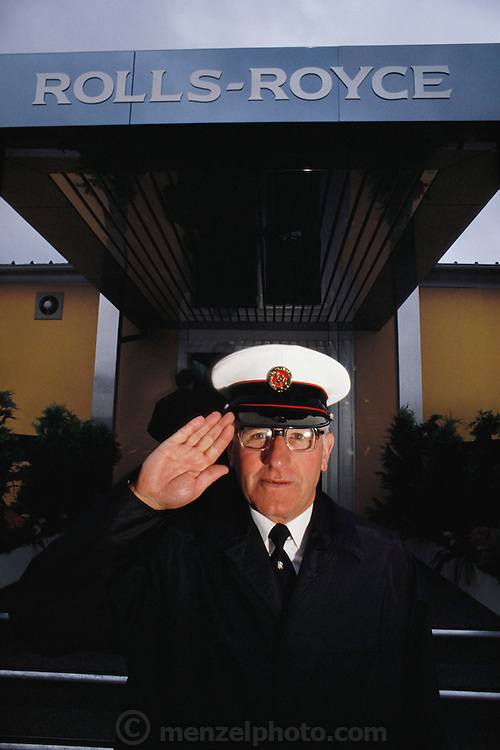 The doorman at the Rolls Royce chalet at the Paris Air Show, at Le Bourget Airport, France. Held every other year, the event is one of the world's biggest international trade fairs for the aerospace business. Rolls-Royce makes airplane engines.